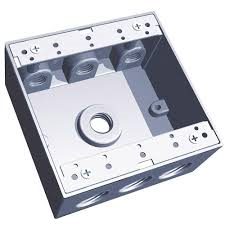 Red•Dot® boxes are made from durable die-cast aluminum and available in single and double-gang rectangular as well as round configurations with a variety of hub sizes to meet all needs. Red•Dot® die-cast flip-lid weatherproof covers protect any outdoor receptacle from the elements. 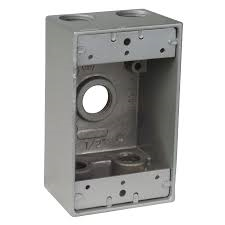 Constructed from rugged die-cast zinc, these covers will last a lifetime. 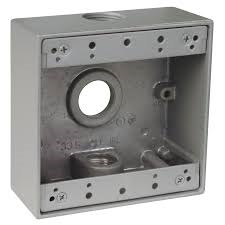 Red•Dot® offers a large selection of die-cast aluminum general-purpose conduit bodies in sizes up to 4". and ensure trouble-free installation and performance. on the outside of your home or building. 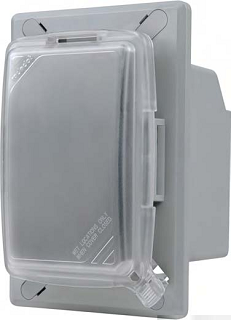 The universal design means that the cover will accommodate a GFCI, duplex, switch or single receptacle up to 9⁄16", making it the perfect choice for all outdoor outlets.